New study shows: climate models still struggle with medium- term climate forecasts | Watts Up With That? How cold will a winter be in two years? How well are the most important climate models able to predict the weather conditions for the coming year or even the next decade? The Potsdam scientists Dr. Dörthe Handorf and Prof. Dr. Klaus Dethloff from the Alfred Wegener Institute for Polar and Marine Research in the Helmholtz Association (AWI) have evaluated 23 climate models and published their results in the current issue of the international scientific journal Tellus A. Their conclusion: there is still a long way to go before reliable regional predictions can be made on seasonal to decadal time scales. None of the models evaluated is able today to forecast the weather-determining patterns of high and low pressure areas such that the probability of a cold winter or a dry summer can be reliably predicted. The most important questions currently being asked in climate research concern the impact of global climate change regionally and in the medium term. These are the subjects of national and international research programmes and will play a large role in the next world climate report because societies having to adjust to climatic changes should know which specific changes they must expect. For the energy or agricultural sector, for example, it would be enormously important to know if the weather conditions prevailing in a region in the medium term could be reliably predicted. Against this background, the prediction quality of current climate models for the period of seasons to a decade is of great importance. The Earth’s weather is significantly determined by large-scale circulation patterns of the atmosphere. One example of this is the North Atlantic oscillation which influences the strength and location of the westerly winds over the North Atlantic and therefore determines the tracks of the low pressure systems over North and Central Europe. Circulation patterns of this nature, also referred to as “teleconnection”, are distributed over the entire globe and determine the spatial and temporal distribution of areas of high and low pressure over large distances. Scientists speak here of the formation of “meteorological centres of action” which determine the weather of an entire region. In the case of the North Atlantic oscillation, these are the known weather centres of the “Icelandic Low” and the “Azores High”. “Short-term weather forecasts are now very reliable. The problems for seasonal and decadal, that is medium-term, predictions refer to the enormous variability and the broad range of feedback effects to which atmospheric circulation is subjected”, explains AWI meteorologist Dörthe Handorf with respect to the special challenge presented to model makers. To test the forecast quality of the 23 most important climate models, the AWI scientists investigated how well these models were able to reproduce atmospheric teleconnection patterns over the past 50 years. A total of 9 known circulation patterns were investigated retrospectively, four of which in special detail. The result was that the spatial distribution of atmospheric teleconnection patterns is already described very well by some models. However, none of the models were able to reliably reproduce how strong or weak the Icelandic Low, Azores High and other meteorological centres of action were at a particular time over the last 50 years, i.e. the temporal distribution patterns. The Arctic plays a key role in optimising climate models. It is one of the most important drivers of our climate and weather and is at the same time one of the regions in which the climate is currently changing the most. The “High North” is also so inhospitable that data on the Arctic is sparse. Future research work of the Potsdam scientists therefore goes in two directions. Firstly, they are developing a climate model which can resolve the small-scale, weather-determining processes in the Arctic particularly well. The TORUS project is funded by the Federal Ministry for Education and Research (BMBF) as part of the “MiKlip – A Research Project on Decadal Climate Prediction” research programme and coordinated by Dörthe Handorf. However, since model improvements are only possible if comprehensive data records in high quality are available, a large international field campaign is planned in the Arctic for the period 2018-2019. It will demand a lot from the participating scientists because part of the field campaign is to be an international Arctic drift station in which a team of researchers will drift through the Arctic Ocean with the sea ice in the Arctic winter for several months. I wonder why anyone would ask a climate scientist about weather and climate. It should be abundantly clear after decades of study and billions in expenses they know nothing about any of this and even less about what is coming. If there is a less successful area of study anywhere I’d like to hear about it. The good news is these same “scientists” did not choose to study medicine and health care. By what criteria then have they been deemed “most important”? The number of acorns on an oak tree is a better forecast than most of the models. Climate models cannot accurately predict at a 2 year level. Climate models cannot accurately predict at a decadal level. Why does anyone believe they can predict at a multi-decadal level? By what criteria then have they been deemed “most important”? Inability? Well, in the next 2 decades it is going to get cold, especially in winters in the NH. Pretty simple formula these modellers have, just make it up, explain disconnect by blaming computer capacity, demand more money & repeat. Apparently the more ignorant the programmer is of the actual world, the more important the model is. Weather prediction over months and years is important, to be able to do so accurately, would do much to reduce political uncertainty. For that reason I can not blame our politicians when they get sucked in by modern day soothsayers. However the prognostications of climatology are little more use than unicorn fencing. And I do blame the politicians and policy wonks when scarce resources are flushed away to no useful end REPEATEDLY. Mandelbrot’s work was valuable,the IPCC effort is not even close. … The good news is these same “scientists” did not choose to study medicine and health care. I mentioned this on rgb’s thread the other day. India, which has the world’s most weather dependant economy, has given up on trying to get the General Circulation Models (which are usually referred to as climate models) to predict the Indian monsoon, and is now looking at other approaches. Essentially, not trying to model the climate, but looking for predictive factors such as ENSO, the Indian Ocean Dipole, etc. Apparently they are having some success. This is significant because progress on understanding how the climate works will come from understanding why these factors have predictive value. Breaking out from the dogma that pervades climate science currently. Well heck, I thought there were only 13 climate models. Maybe these models breed. So how can any “scientist” give ANY credibility to a belief that cannot reduce its purported explanation down to a single current most credible theory. Well I can see room for a competing theory; but not 23 competing theories. I take it that these 23 models all suffer from the same pestilence; they do not predict results that match any of the recorded actual measured data. Whyzatt ? Well the answer is pretty smple. None of these 23 models is actually a model of planet earth; well of the climate system portion of planet earth; nor is the recorded experimental data, in any way representative of planet earth; no wonder they don’t match. Well is it just possible that neither the modellers, or the measurers, ever bothered to aquaint themselves with elements of information theory, and specifically the theory of sampled data systems. If you take a core drill, and you bore a single hole at a particular height, and oriented in a particular direction (geographically) into a single tree chosen at random in a forest of trees, the material extracted from that core is not a representative sample of the forest, or even of that single tree. And any model you create based on what that sample tells you (about that sample), is unlikely to follow the actual course of that tree, let alone the whole forest. Well you might get the age right if you hit the center of the tree. Any statistics or statistical prestidigitations you choose to make using measurements of that sample, will be perfectly valid statistical data for that set of actual numbers (the numbers themselves). But those results don’t tell you anything real about the tree, or the forest. You have to sample in accordance with information theory laws, in order to have the elements from which to construct a model that is representative of the system you think you are studying. I have noticed that the interior of the Arctic is very poorly temperature mapped in the NCDC GSoD data. I’d much rather like them all to resign from their posts and get a job. They are useless eaters, the whole lot of them, even worse, actively harming development and giving statists the pretense to rob the world blind. They are not to be trusted. Especially the ones in Potsdam. I guess I hit enter before I finished my thoughts. And it looks like it will be 5-6 years before the needed stations exist, and can start collecting data. Therefore it will be even longer before they can use that data to improve the model. By then, temps should have diverge even further from model predictions. @Jeff Alberts – I see what you did there. I can only report on one climate model, CAM 5 (Community Atmosphere Model 5). It assumes that a latent heat of vaporization of water is a constant; while in reality it varies by 0.1% per 1 degree C. As most of water evaporation happen in tropical seas with a surface temperature 25C-30C, the model overestimates the heat transfer between the ocean an the atmosphere by 2.5% at least. The UCAR have been unable to estimate the impact of this approximation. They just shrug it off. Maybe climate is an average of weather; but this particular model – still being actively developed – probably can’t render good predictions beyond 100 days (in the absence of UCAR’s estimate, I provide my own). So modeller’s climate is at best a 100-day average of weather. Economists make climate scientists look like a heavenly host of intellectual titans. But that’s setting the bar low. Like sub-terranean low. I imagine Paul Krugman is a huge AGW believer. In Science, theories are tested against their predictions. When the predictions FAIL, theories are normally revised, re-evaluated, reconsidered, re-examined, recalculated, or just plain re-jected. The only forces keeping the AGW alarmism theory from being abandoned are those of political correctness. With all this frustration and waste of effort on the models, hasn’t anyone decided to try whittling down the principal Principal Component CO2? There will be no magic in re-calculating all the other components. Isn’t it getting patently obvious that there has been no improvements in predictability after 20 years of CO2 -centred modelling? Can someone here speak to this stubborn tenacity. Has anyone tried throwing out CO2 and going with the rest just to see what would happen? A few notable’s who aren’t in the circle have been at least chipping down the climate sensitivity to less than a third of what remains tenaciously guarded by the die-hards of the business and they are having better results tracking gross temperature trends. What do reasonable global warming folks think about the…er…travesty. “Economists make climate scientists look like a heavenly host of intellectual titans. But that’s setting the bar low. Like sub-terranean low. Not every economist is as stupid as Krugman. What happens is that the models fail to generate an increasing average temperature, to match the measured value. In a case of Holmesian logic (One quote often heard from Holmes is “When you have eliminated the impossible, whatever remains, however improbable, must be the truth”.) Since they don’t know how to explain raising temps any other way, it must be caused by CO2. They make this sound so dramatic. Didn’t Fridtjof Nansen and Roald Amundsen already do this? Can’t these people save a lot of money just by reading their work? The 9000 lb. gorilla in this room is the lack of science in climate science. Empirical evidence? What’s that? :] it’s clear that the climate science being taught is nearly bankrupt of predictive power. There is a book called the Trouble with Physics, looks like we need “The Trouble with Climate Science” next. I firmly believe that upcoming seasonal precipitation can be modeled and predicted. Here in Northern California, I have been able to predict precipitation levels (i.e. above normal, average, below average) for twenty consecutive years just by following west coast sea surface temperatures and annual precipitation levels in Southern California, for as a rule, our rainfall/snowfall levels follow those of Southern California by one year. With all this frustration and waste of effort on the models, …………What do reasonable global warming folks think about the…er…travesty. Talk about an oxymoron……..OK, here’s what I think they think. They think it’s crazy with this being the hottest decade in history with more drought and bigger storms and flooding than ever and the added proof with hurricane Sandy and the increasing sea level rise and the melting glaciers and acidic ocean—How can these stupid skeptics (my word not theirs) not want wind mills and solar panels to save the poor children. Please Obama, save us. 😉 Thanks. I was hearing only crickets. Their conclusion: there is still a long way to go before reliable regional predictions can be made on seasonal to decadal time scales. Well we know that. I am not sure it’s even possible considering the chaotic nature of the atmosphere. On short time scales you are okay since the possible trajectories take some time to diverge. On long time scales you can rely on averaging and the constraints enforced by energy conservation etc..
For the medium time scale it sounds impossible. The pedant using grammatical errors as cultural humour. Could you expound on just what you are saying here? That you can accurately predict climate in the distant future? Aren’t the future possibilities infinite? This is a statement that I would like you to substantiate. Thank you Anthony for allowing me a couple of parting volleys. Cheers. What grammatical errors? It was a pun. Sheesh! I’m confused. Are you saying models accurately predict short term climate changes? I’m skeptical. Show me proof. “Their conclusion: there is still a long way to go before reliable regional predictions can be made on seasonal to decadal time scales. You are right about the short and medium time scales; as you have recognized the consequences of the chaotici nature of weather. Now think about the distinction you make between medium term and long term. IS THERE a clear distinction? In other words, is there a separation between medium term and long term? Are these separate systems? So when you can’t separate the totatlity of the system into isolated short term systems (for which you correctly observed chaos) and long term systems, HOW do you prevent the chaos from modifying the state in the lower frequencies? If averaging (of several simulation runs) does not help in the chaotic short term systems (we know it doesn’t; or not much at all, as otherwise our weather forecasts would be perfect); why do you expect it to help in the long range? There is no principal difference! nature is often fractal; small structures look like huge structures. What the small structure does in a second might take the huge structure a year. The basic behavioral principles are the same. 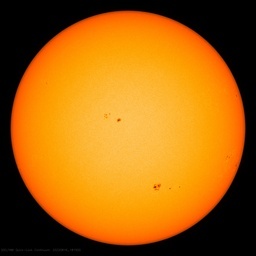 It cannot be done with models, it can only be done effectively by forecasting solar activity. What can models do against a chaotic system. The comparison to economists is especially apt. Both disciplines use highly modified data provided mainly by governments. Both disciplines form invalid averages across cultural, national or hemispheric boundaries, and feed these invalid numbers into highly abstract computer models. Both disciplines get uniformly bad results. Both disciplines get paid by investment banks. Real scientists observe reality DIRECTLY in one place and/or one culture, and draw conclusions based on CONTROLLED EXPERIMENTS. It assumes that a latent heat of vaporization of water is a constant; while in reality it varies by 0.1% per 1 degree C. As most of water evaporation happen in tropical seas with a surface temperature 25C-30C, the model overestimates the heat transfer between the ocean an the atmosphere by 2.5% at least. Well that’s interesting. But what puzzles me is how a 0.1%/C x 5C = 0.5% becomes 2.5%. Have you missed out some step in the logic? You imagine right. He was quoted here a couple of years ago as saying he trusts Joe Romm. This means, crucially, that a doubling of greenhouse gas forcings does not permanently increase global temperature. Which means that GHGs are trivial in the study of climate ! !